“All of my books speak to a new level of human potential possible through a partnership with the biological infrastructure of which we are a part and with which we have co-evolved to operate. 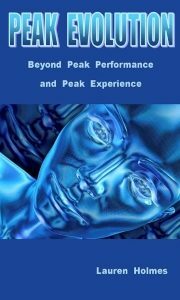 Peak Evolution (2001, 2010) was my first pass at trying to identify how to conscript this bio-infrastructure to experience evolved states, rapid growth, a new level of peak performance, and to achieve bigger goals faster. The strategies arose from experimenting with what I had learned from interviewing 300 change executives in a compressed period of time with the eye of my degree in biological anthropology. 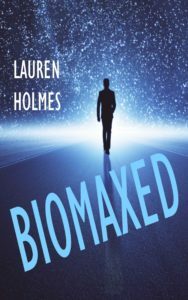 BioMaxed (2019) is a collection of articles I wrote in 2013 and 2014 as I examined some of the science, questions, methods, and applications that have evolved the Peak Evolution science into a more comprehensive methodology I’m calling savanting. 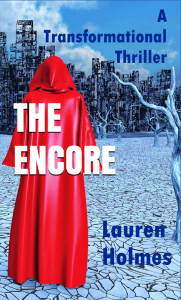 The Encore: A Transformational Thriller (2018) was an exciting opportunity to see savanting in action through ordinary fictional characters becoming heroic worldbuilders to save a planet. They comprise the supporting cast of the book’s real main character, transformation. Savanting: Outperforming your Potential (2019) is a chance to look at savanting in action in the lives of real people. First, the savants for which savanting is named are introduced. I then try to retrofit my science into the lives of entrepreneurial CEOs Bill Gates, Steve Jobs, Jeff Bezos, Mark Zuckerberg, Oprah, and entertainer, Jim Carrey. You can then decide whether their success was due to savanting in partnership with the bio-infrastructure.